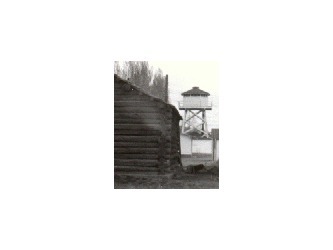 A combination water tower and emergency lookout. 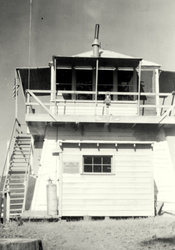 August 2, 1935: A set of three panorama photos were taken from the lookout structure. 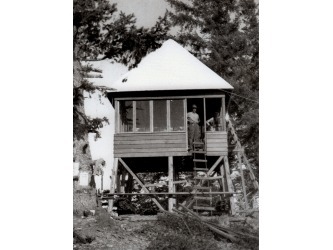 1942: The Aircraft Warning Service used the Lookout station as an observation post during the winter months. 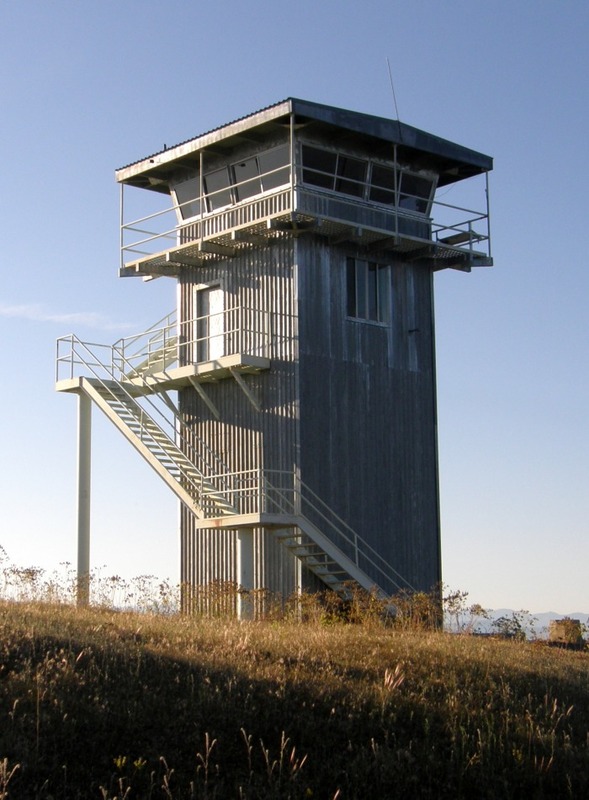 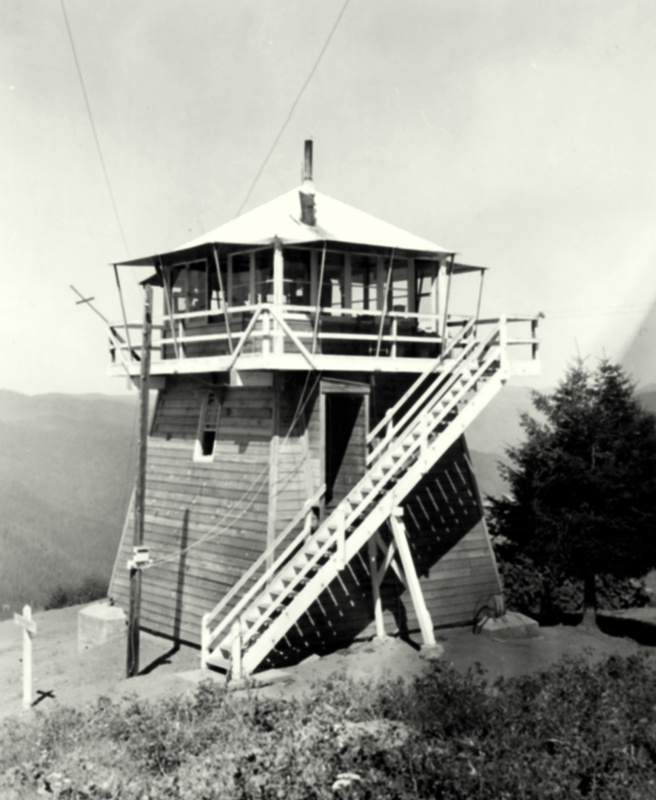 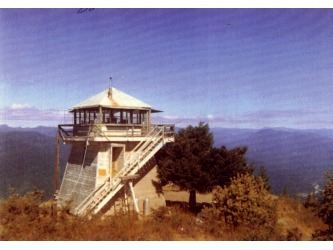 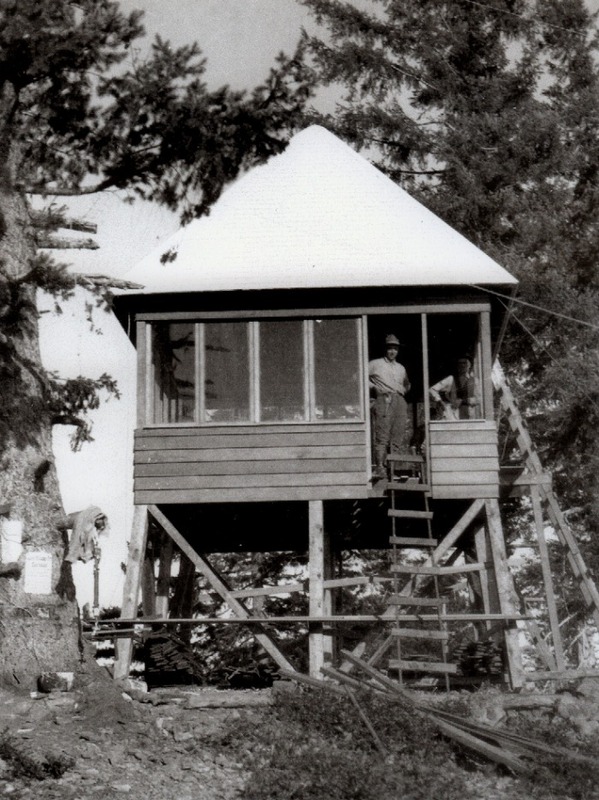 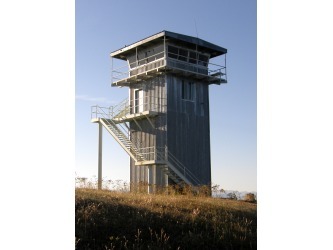 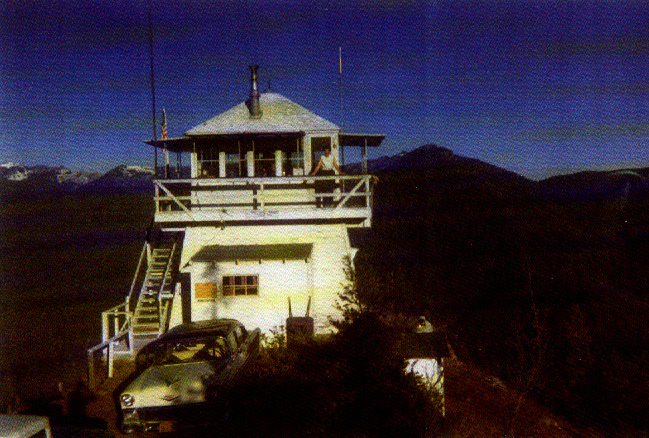 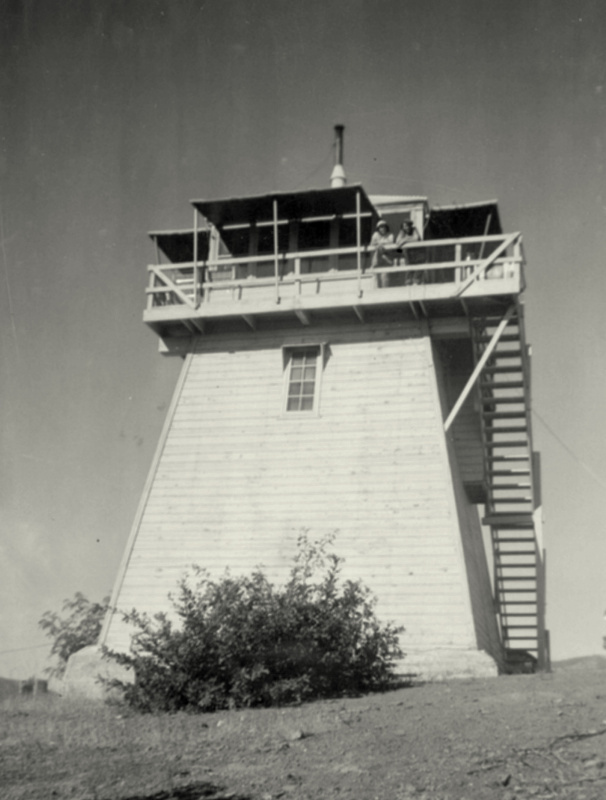 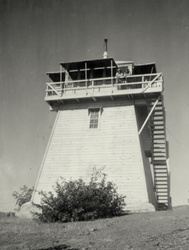 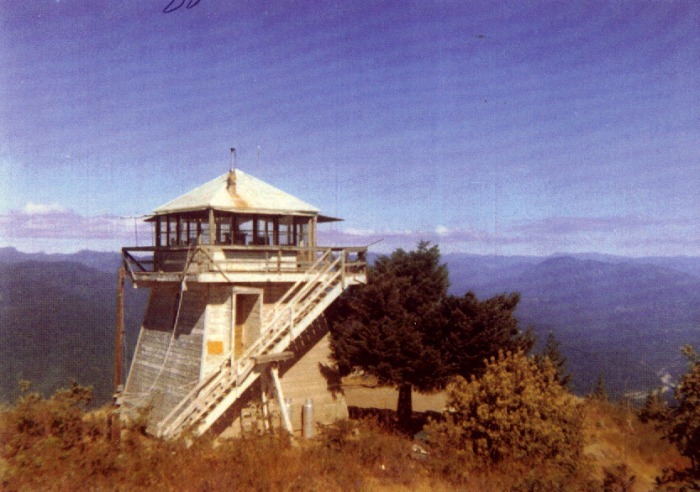 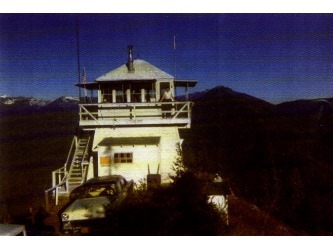 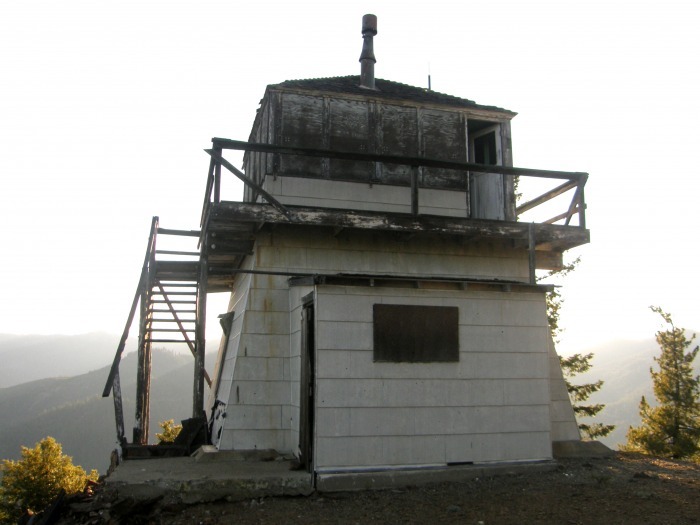 1942: The Lookout station was used during the winter as an Aircraft Warning Service observation post. 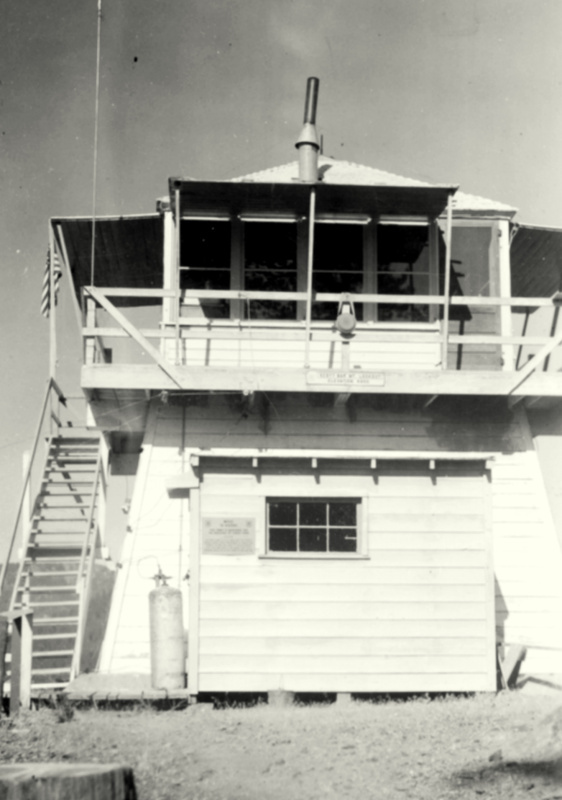 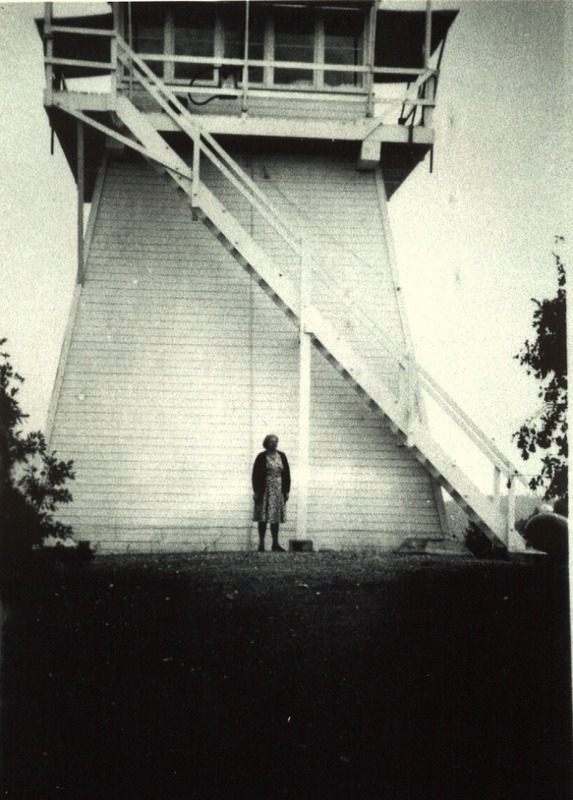 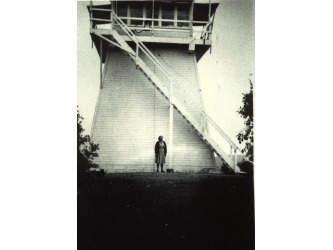 1942: The Aircraft Warning Service used the lookout station as an observation post. 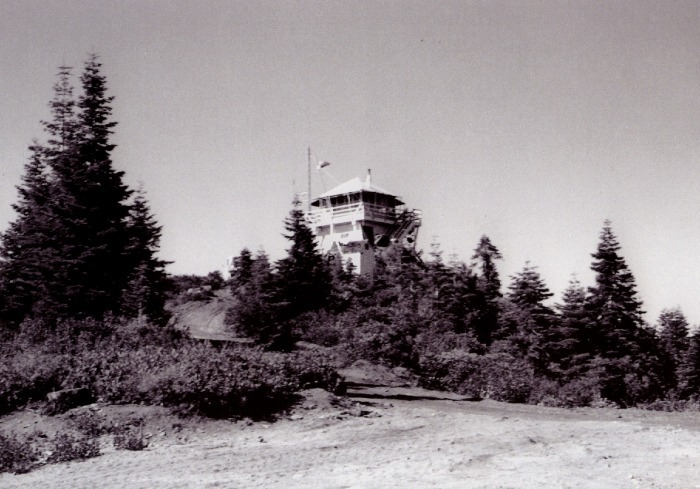 1937: The 100-foot Aermotor tower was removed and a rock observation structure was constructed on the bluff behind the refuge headquarters. 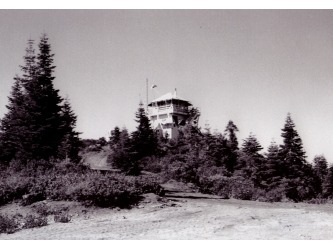 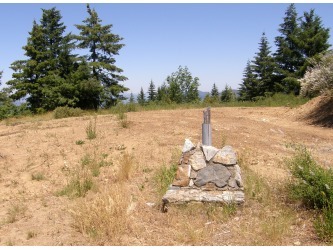 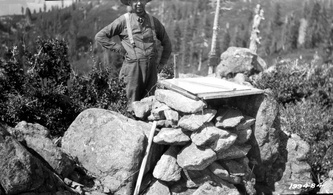 The new structure, constructed by the CCC, was designed to use native material and to blend in with the surrounding landscape. 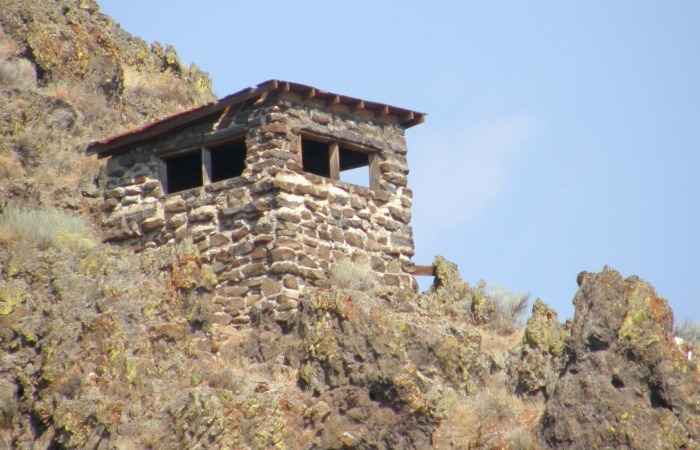 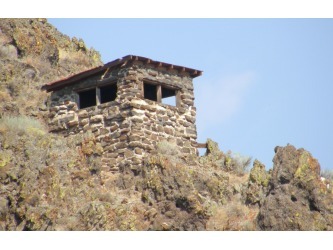 The Aermotor was moved to the Upper Klamath Refuge and re-erected as a observation post to watch for poachers.